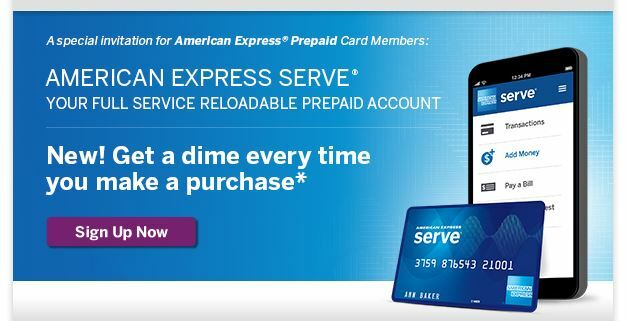 This is a targeted offer, for some members of the American Express Prepaid cards. If you upgrade to their new Serve reloadable card, you will earn 10c for each transaction you make until 5/31/15. Check your emails to see if you have received this offer if you are a Prepaid user. A lot of people joined in a couple of years ago when AMEX was giving people $10 bonuses with a $50+ account. Do note however that the new Serve card has a $1 monthly fee unless you set up monthly direct deposit or load $500+ per month on the card. So keep that in mind! If you are part of the Starbucks Rewards program, there’s a number of Bonus Stars promotion running in the next few days. You can use the Starbucks app or a registered plastic gift card linked to your account. You don’t have to manually opt-in for any of these offers, they happen automatically. Starz is also celebrating the return of Outlander next week, the second half of the first season. If you are tempted by Apple TV or you want to be among the first to try the new HBO Now service that looks like it may need an Apple device to sign-up for during the first three months, the $70 Apple TV is the lowest entry point, since iPhones, iPads and iPods are more expensive. I believe the apps will need at least iOS 7, because HBO Now uses the technology from the MLB (yes, baseball) streaming service, and their apps are at least iOS 7. So if you have older iPods/iPhones/etc, they may not be good enough. The Target Weekly Circular Ad, expiring at the end of day on 3/28/15, has a coupon promotion. Using the coupon, when you make a purchase of $125 or more on eligible Baby products (babies not included! ), you will receive a $20 Target gift card. You can also use this offer online by using promo code SAVE20. Only one offer per customer during this promotion. If you are planning to make an Amazon purchase of $25 or more, you can purchase a 12pk BIC Round Stic Xtra Life Ball Pens, medium point (1.0mm), black ink, for just 88 cents (that’s $0.88 per 12 pens). You can buy as many 12pks as you like at this price! For the shopping week of March 15-21 in 2014, at Walgreens brick and mortar stores (their website does not offer it), you can get the prepaid no-contract LG 450 Black Flip Phone for $22.50. This is because of a 25% off sale on select prepaid pay as you go phones. The phone includes a SIM but no airtime. This is no contract, no commitment, you just pay for it at checkout. It typically goes for $30. No coupon is needed. There should be a discount sign in the store. Availability may vary by store and region, and obviously I have no way to checking every store in the country. This is a fairly simple phone, with a camera and front status display, you can see details and customer reviews at amazon.com. The lowest price Pay As You Go plan at the Uncarrier is $3 per month, which includes 30 minutes of talk. They have $10 refill airtime cards that last 90 days, so technically, you pay $10 for 3 months. Every month, it will deduct a $3 minimum from your balance. Note that this phone is locked to T-Mobile. For the shopping week of March 15 to 21 (2015), at Staples brick and mortar stores (not their website), per their weekly ad, if you spend $250 or more in VISA Gift Card, you will receive a $20 VISA Gift Card by mail after you submit an Easy Rebate. Since VISA gift cards have an activation fee, this offer makes sense if you are able to find a combination of gift cards with activation fees under $20. The promotion is one per customer during this weekly promotional period. Check store or ad for more details. If you have a Chase Freedom credit card with the rotating 5% reward categories, mark your calendars and your ToDo lists. You can sign up for the 2nd Quarter promotions starting on Sunday 3/15/15. 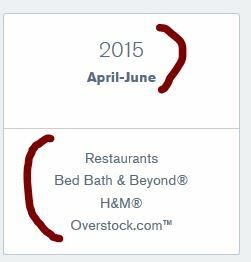 The new categories go live on 4/1/15 until 6/30/15, and they are very nice as well, they cover Restaurants, Bed Bath and Beyond, Overstock.com and H&M. The usual limits apply, you earn 5% on up to $1500 in purchases, so the maximum rewards is going to be $75. For purchases over $1500 in these categories during the quarter, you will earn the usual 1%. It’s Tea Time again, especially if you are planning to place an order of $25 or more from Amazon (regardless of Prime status). The 3.5 oz Twinings Prince Of Wales Loose Leaf Tea in a Tin Can is on sale for just under $5 per tin. You can buy as many as you like, so you can get to the $25+ limit with six tins of this. It is also available through the Subscribe and Save program, for an additional 5% to 15% discount (higher discount if you have five or more items arriving during the same month with Subscribe and Save). This tea is doing well in customer reviews over there, it averages 4.6 out of 5 based on 29 of them. This is 100g of tea, which is roughly 3.53 oz. A brand new TV series, The Returned, that premiered on A&E on Monday 3/9/15 is offering, for a limited time only, the pilot episode for FREE, in HD, and without commercials at Amazon Instant Video. Please note this will be free only for a few days after it premieres. After that, it will sell just like any other online episode ($2 SD, $3 HD). If you are looking for an affordable way to explore Windows Phone without getting tied into a contract or transferring your phone number, Best Buy has a nice sale of the Nokia Lumia 635 for $50. No contract, you can use it as a Wifi-only device. This is available in four different prepaid configurations, T-Mobile Prepaid, AT&T Go Phone, Boost Mobile and Virgin Mobile. Some of these options are also price-matched at Amazon. As of 3/17/15, the price is $90. However, the price has been jumping around recently, so it may drop again. With the good old Apple TV dropping under $70, and the Roku 3 being two years old (see Wikipedia for timeline and feature comparison), there’s bound to be price volatility. Regardless, if you can’t wait for the new condition price to go on sale again, you can get it certified refurbished for $73. Want to be a cord cutter and at the same time support smaller independent companies instead of big cable and big corporate? The current Roku flagship, the Roku 3, is on sale for $77 (was $85.50) with free shipping at Amazon.com by Amazon actual. Among other features, it has wired Ethernet connection (in addition to Wifi), microSD slot for extra storage, and USB input for personal content. Its remote control has a headphone input, another nice feature. It is March 2015 and this means, among many other things, it is time to sign up for the Discover Q2 5% Rewards! The promotion runs April 1st until June 30th (the usual three months, per calendar quarter), but sign up begins one month before the offer goes live. And the Q2 offers are really good, Restaurants and Movies! If you are flex-screen curious but don’t want to get hog-tied with a 2yr contract, among the latest eBay Deals, you can find the new condition LG Flex (32GB, Unlocked GSM) for $250 (was $200) with free shipping, no contract, by eBay seller “mobilepros1” (97.4%), with a limit of five per buyer. This is a great deal if you are planning to use it as a Wifi-only device. PLEASE NOTE this does not work with T-Mobile! With AT&T, it only works on 3G. The 4G LTE bands are not compatible with US carriers. Check the listing details over there for more information. This could make a fun Wifi-only device for the price, with a Snapdragon 800, 2GB RAM, 32GB on-board, and such. PRICE UPDATED in blog-post on 3/11/15.